In 1914, the Rabinowitz family opened a grocery store in Somerville, Massachusetts. In 1918, the family introduced the self-service supermarket. Almost 30 years later, the business grew to include 86 supermarkets. Now there are more than 375 stores in three states. You can find the Stop and Shop application link below. The company offers its customers a wide variety of services. One unique service that the business offers to its customers is its SCAN IT! device. This device allows the shoppers to use this handheld technology that helps customers scan and bag their groceries more quickly. There is even a mobile version that allows customers to use their smartphones to do this, as well. Stores have many different departments that bring a plethora of different products to the company’s customers. Each store has a produce, meat, seafood, grocery, bakery and floral department. Pharmacies can also be found in the stores, which allows for customers to pick up their prescriptions while doing their grocery shopping. As part of the grocery industry, this company places a lot of value on food safety. The company wants to be sure that it promotes products that are safe and responsible by making sure to strictly follow food safety policies and procedures. It also provides food safety information to its customers. The website has a list of recent recall notices, as well. 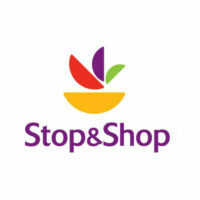 Stop and Shop jobs range from corporate to part-time hourly positions. Corporate job opportunities include marketing, human resources, information technology and purchasing careers. These Stop and Shop careers require more experience than in-store positions and they generally require associates who will be able to work at the company’s headquarters. Stop and Shop jobs at the corporate level come with additional benefits. In-Store positions can be hourly or managerial. Hourly positions can be either part- or full-time. Management positions include department manager, assistant manager and store manager. Hourly positions include cashiers, baggers, stockers and department clerks. The hourly positions offer flexible scheduling to make sure that the store is well-equipped with employees at all times. How old do you have to be to work at Stop and Shop? To start Stop and Shop careers, you must be at least 16 years old. Store hours vary depending on location to meet the needs of customers in the area. Regardless of business hours, employees may need to be working during the store’s off hours to get the store in shape for customers. If you decide to start your career at Stop and Shop, you will gain access to a variety of benefits from the company. Not only does the company offer health insurance packages, it also offers both short- and long-term disability and life insurance. Eligible employees can also sign up for a 401(k) retirement plan. Cashier – Cashiers help customers get their groceries by efficiently ringing up purchases and assisting customers in locating products in the store. Cashiers are entry-level employees who need to be good with customers. Cashiers need to be flexible, as they are often needed to assist in other ways. They may need to help stock groceries. Store Manager – Responsibilities of store managers are to hire and train new employees, creating work schedules, making sure customers are happy and overseeing staff at all levels. Store managers help create and meet sales goals, order new merchandise and analyze sales data. Store managers usually earn a salary of about $70,000 a year. Floral Clerk – Employment as a floral clerk comes with responsibilities such as cleaning the floral department, arranging the products in the floral department, helping create floral arrangements and taking orders for floral arrangements. Floral clerks need to know where to find products in their area and should have knowledge of the products and pricing. These employees usually make between $8 and $12 per hour. Pharmacist – Pharmacists must have the proper training associated with prescription drug education, as it is their responsibility to help customers understand their prescriptions and possible side effects. Pharmacists research prescription medications to provide that information to customers and to make sure that individuals aren’t mixing drugs that would be harmful. Pharmacy technicians generally make between $25,000 and $35,000 a year, while pharmacists make more than $100,000 a year. Can you tell me a little about yourself? Interviewers want to get to know applicants, and this is the easiest way to do so. You should keep this answer concise. If you can tailor your answer to the job you applied for, even better. Why did you fill out a Stop and Shop application? When you made the decision to apply for this company, what were you thinking about? You should tell the interviewer why you thought you would be a good fit at the company and what drew you to the company. What management type do you most like to work under? Everyone responds differently to management styles. While some people like to have someone there to tell them what to do at all times, others like to learn what they need to do and be left to do it. You should tell the interviewer what tends to work best for you. Managers will go through a more rigorous hiring process. Management applicants should expect to answer questions such as, “How long have you been in management?” and “What is your management style?” These questions are geared to finding out what experience each applicant has. These jobs also allow for managers to develop their own style and system, and interviewers want to know what that would be. To apply for jobs at Stop and Shop, you can either apply online or fill out an application form in-person. First, you should browse Stop and Shop jobs online and read each job description thoroughly. If you decide to apply in-person, go to a local store and request a free application. Bring a copy of your resume with you when you return the application. There is no printable application for Stop and Shop, therefore, you can’t print out applications, fill them out and drop them off in the store. Just as there is no printable application form, there is no button to click download application link. Keep this in mind if you decide to apply in-person. If you choose to fill out an online application, the website will walk you through how to apply for Stop and Shop online. When you fill out the Stop and Shop job application online, make sure that you fill out a direct application and include your resume. Understand that it will take a few weeks for the hiring manager to review all the applications. If you happen to be called in for an interview, show up dressed professionally to make the best first impression possible. Make sure you have thoroughly read the job description and are prepared to answer questions about both the company and yourself. You should go in prepared to impress the interviewer.